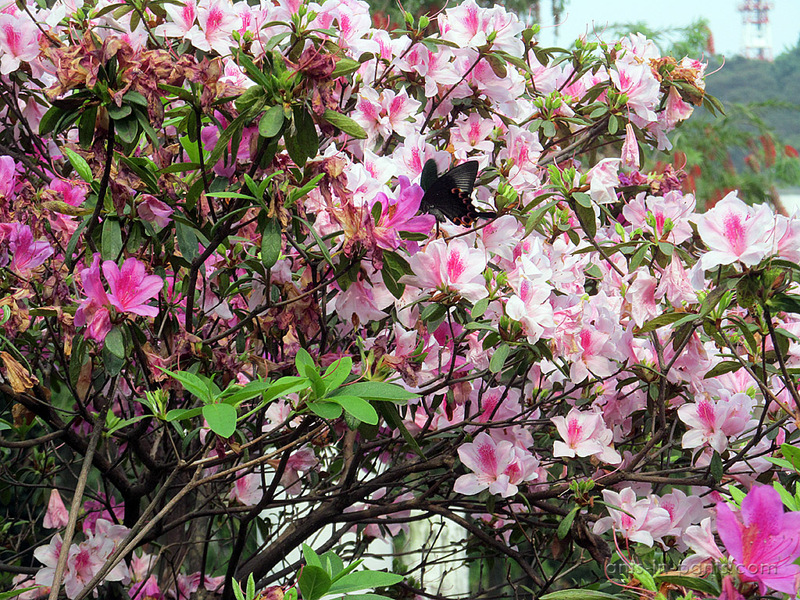 Macau is notorious as the “Las Vegas of Asia”, being one of the world’s casino capitals. 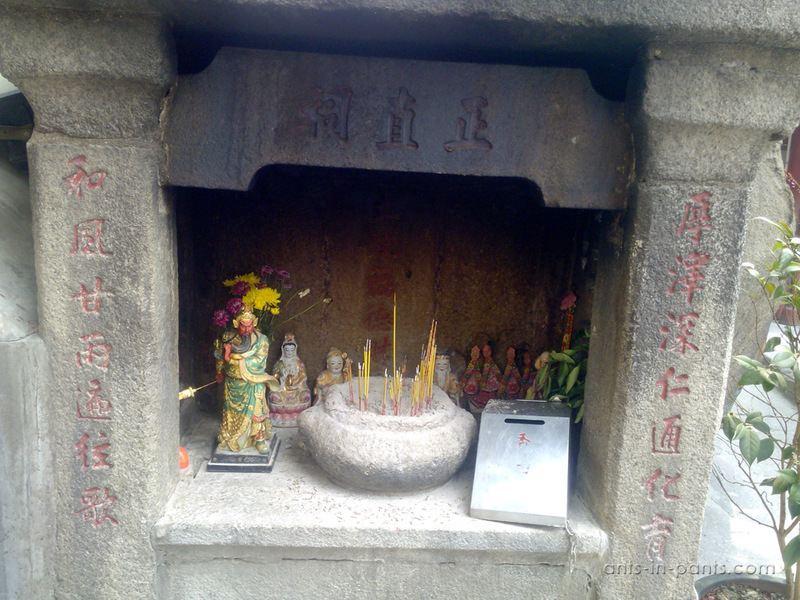 As usually, there is a lot behind this main touristic attraction, in particular – some famous Buddhist temples and Christian churches to stop by and ask the gods for some extra luck in the casino. 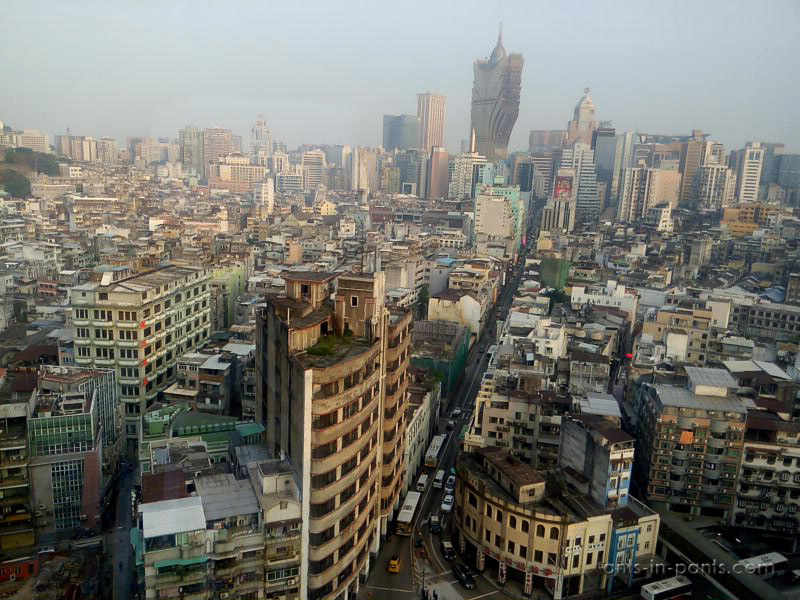 Until late 1999, Macau was the last remaining European colony in Asia. Due to the Asian heritage and Portuguese colonial experience Macau has been branded as the crossroads of Europe and Asia (in spite of its geographical position). 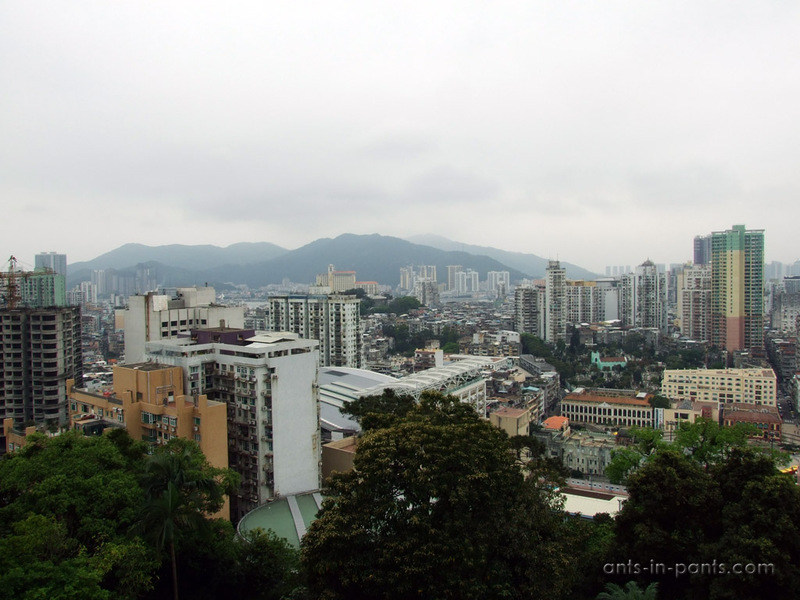 Moreover, under the policy of “one country, two systems”, China is responsible for the Macau defense and foreign affairs, while Macau maintains its own legal and monetary system, police force, customs and immigration policy. 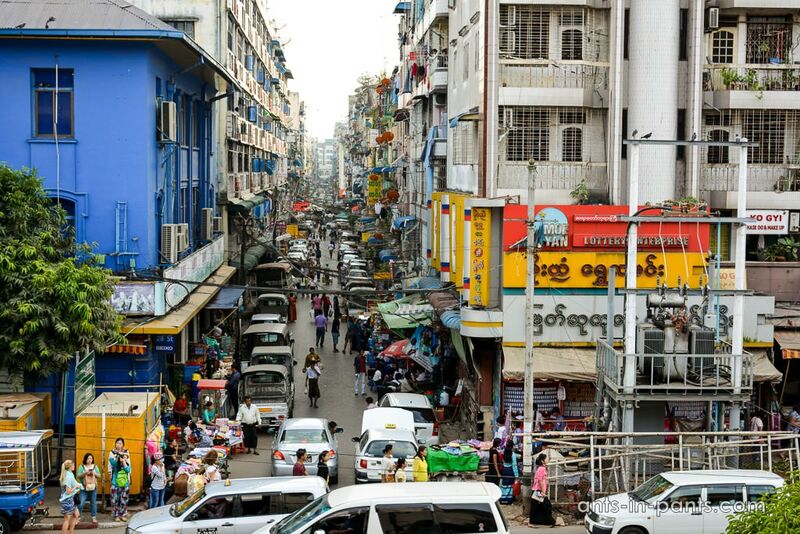 The relative autonomy from China, however, lets Macau avoid some Chinese weird laws: for instance, while the descendants of the Chinese buying houses on their own expenses will have to return them in 90 years, this rule is not applicable to the residents of Macau. 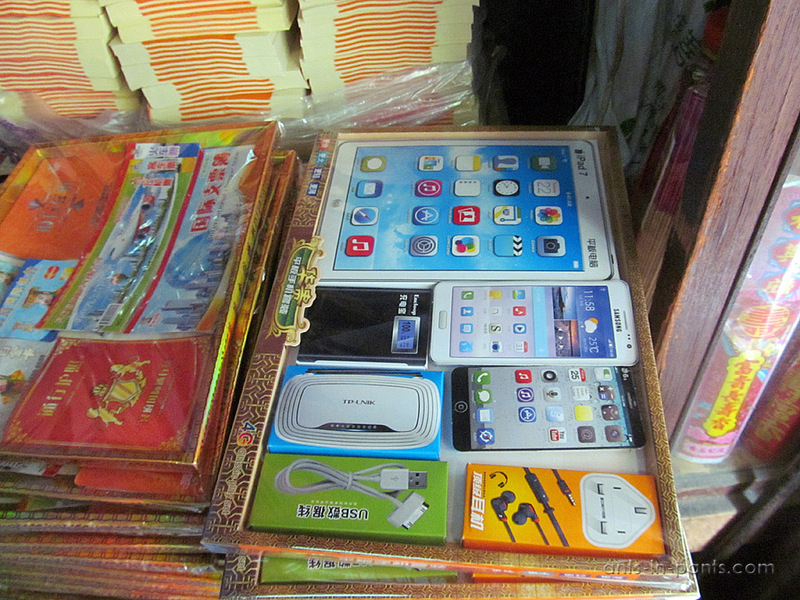 This is extremely valuable in this most densely populated region in the world. 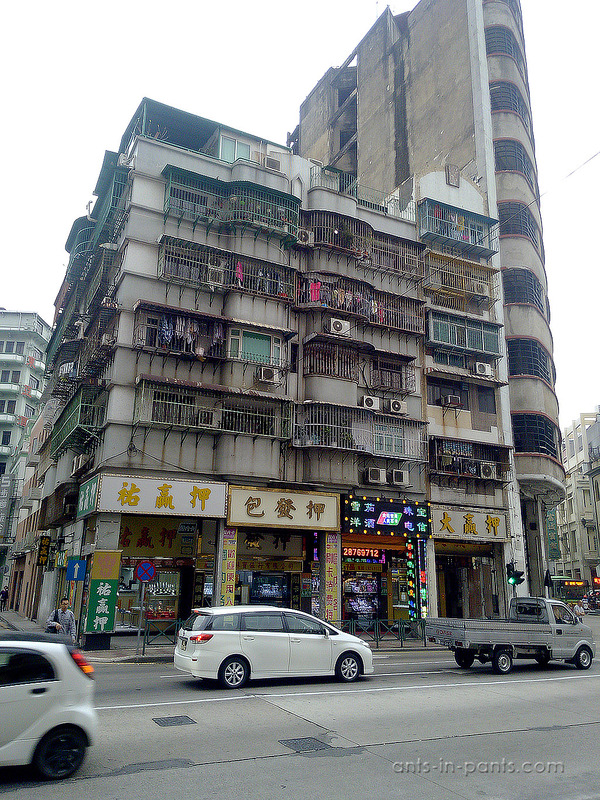 Real estate is very expensive here, which is easy to believe when you see huge prices for Macau hotels. 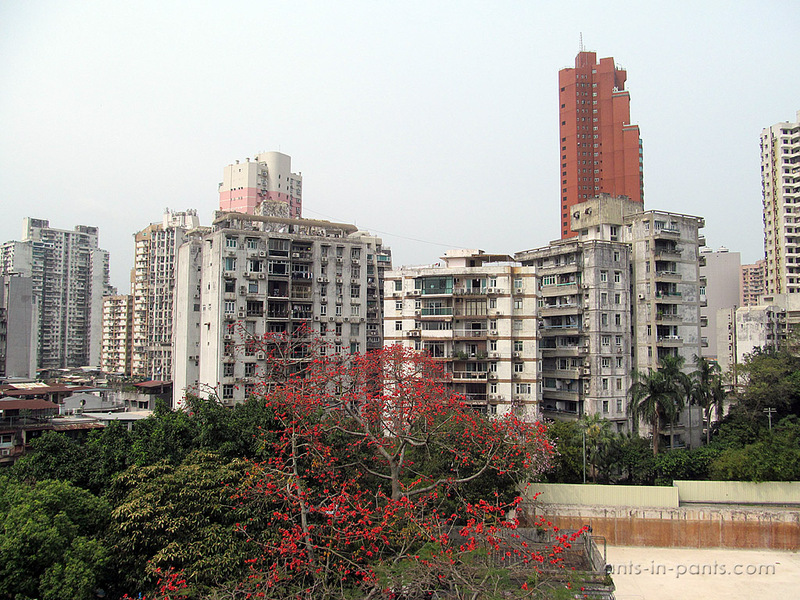 Most of the residential constructions are quite ugly and basic. 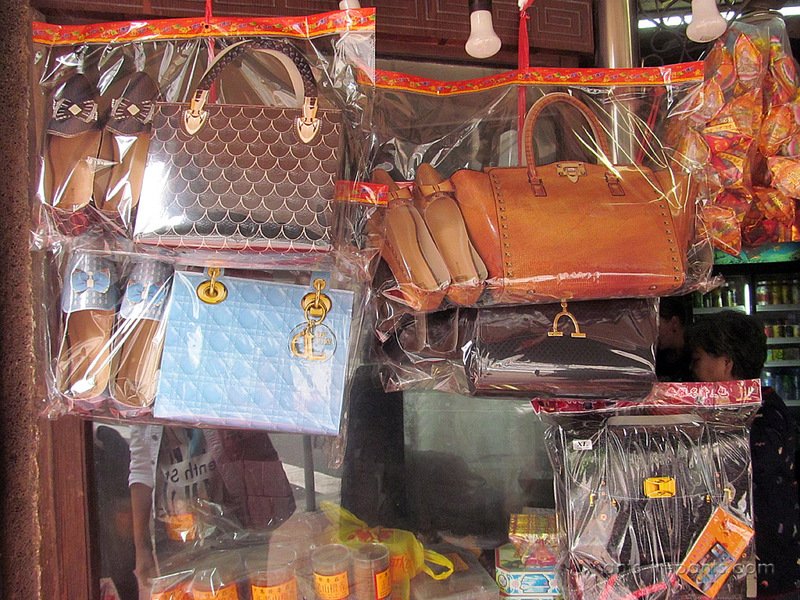 Macau is one of the world’s richest cities, largely because of the tourism and casino pilgrims. 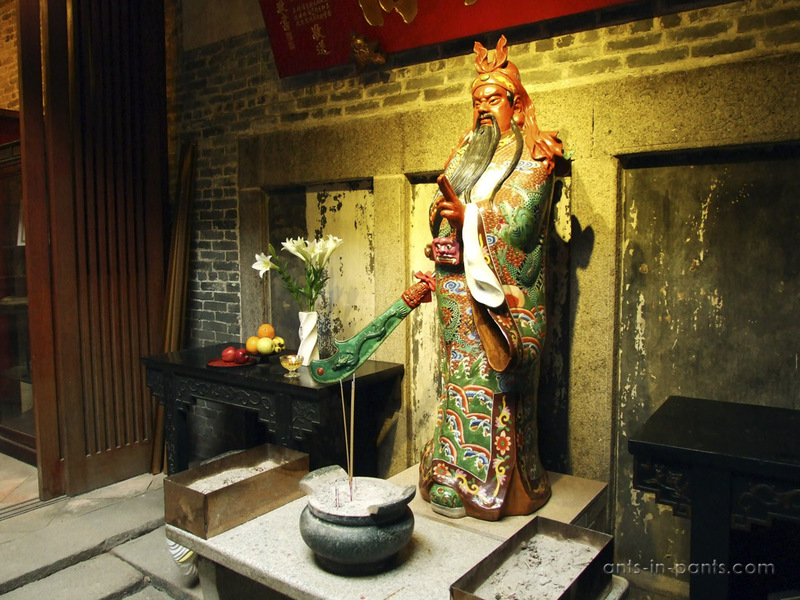 Next to the luxurious hotels and casinos, however, the folk culture is preserved, as most Chinese in Macau are profoundly influenced by their own religion. 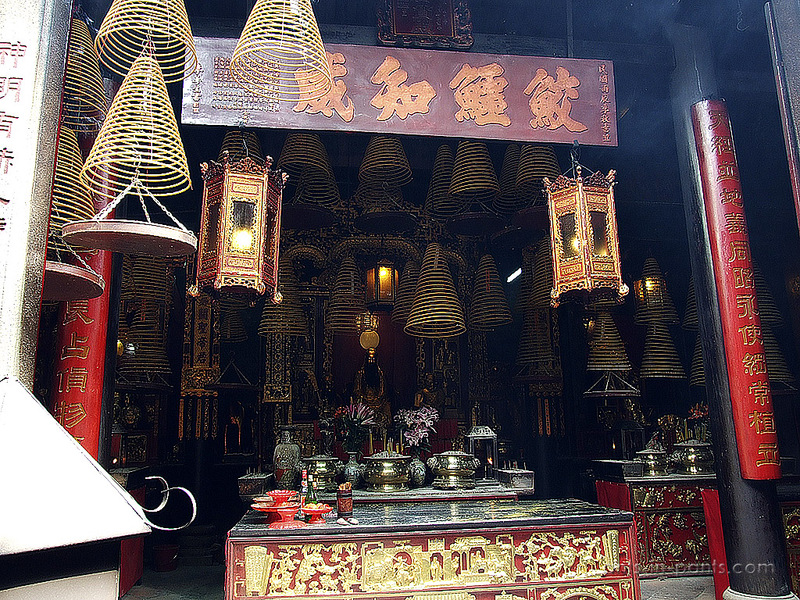 Most of the population follows folk faiths, Buddhism and Taoism, while 5% are Christians. 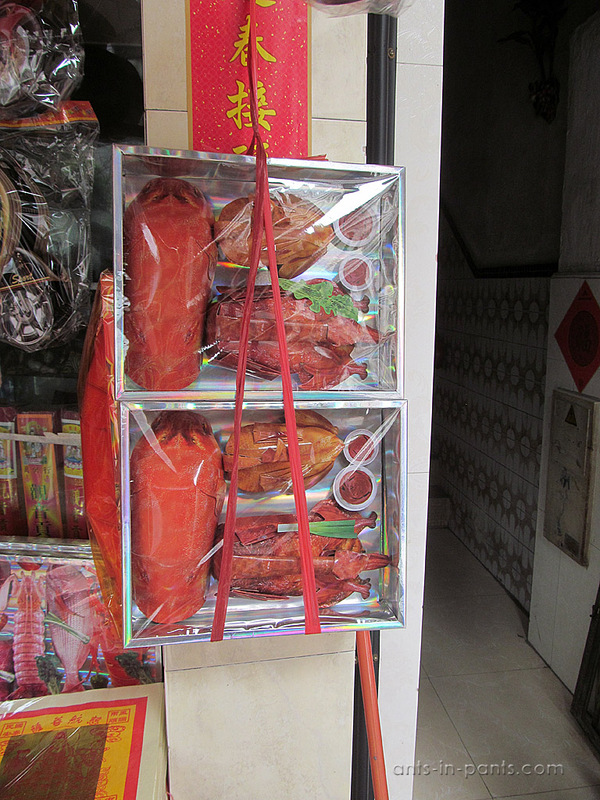 Many smaller shops and houses have their own altars to please gods. 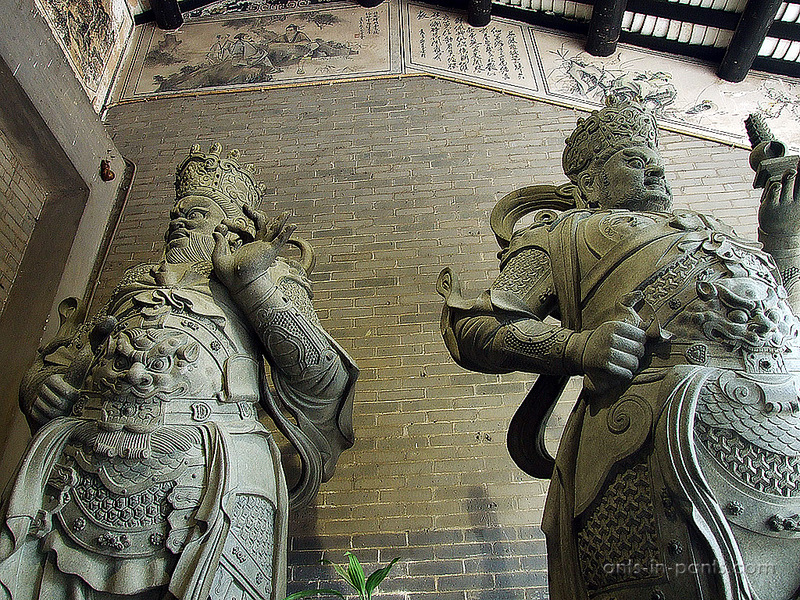 Much more serious, however, are the temples, where the Chinese and tourists come on different occasions. 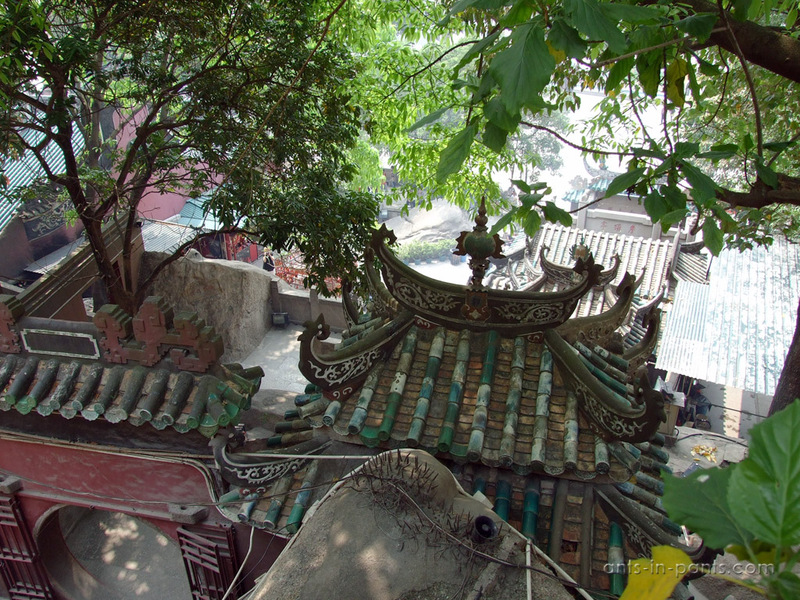 Perhaps, the most well-known is the A-Ma temple, dedicated to the goddess of seafarers. 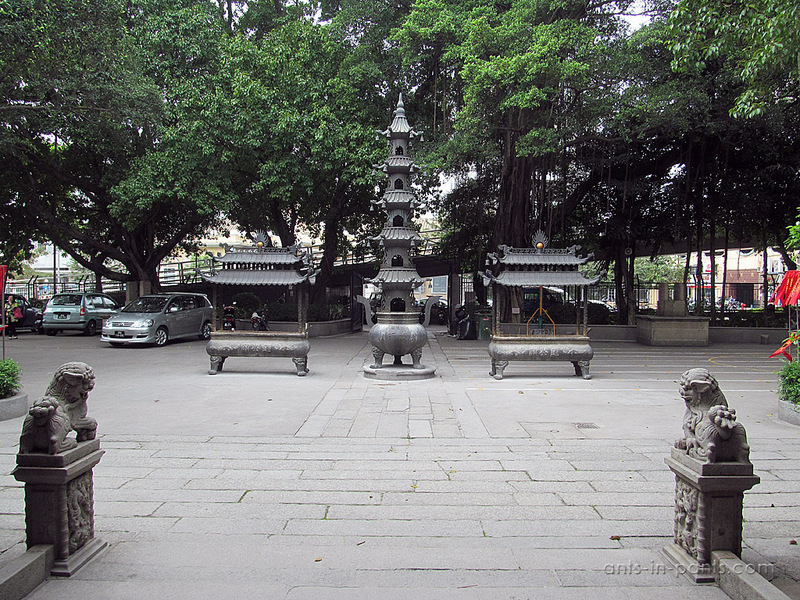 The temple already existed before the city of Macau came into being: the first structure preserved till now is believed to appear c. 1488. 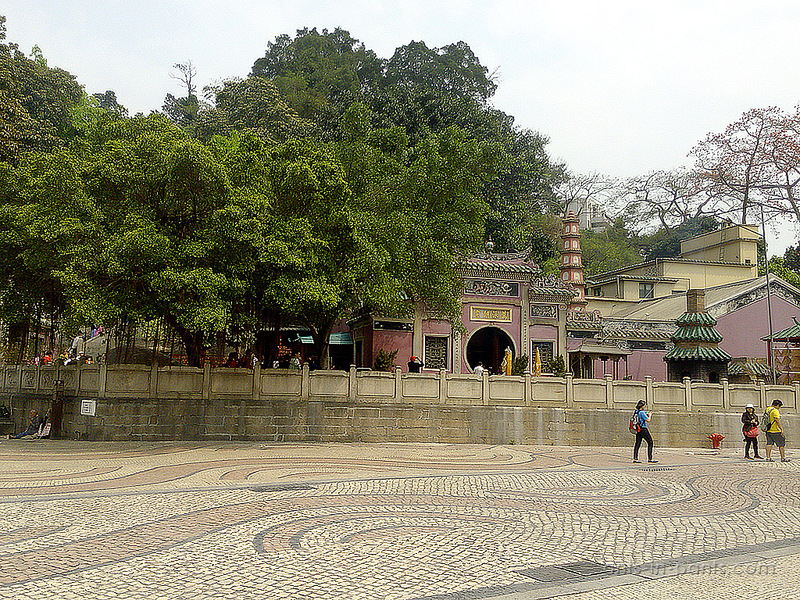 Many pavilions of the open-air temple were constructed in different times with the present-day configuration dating back to 1828. 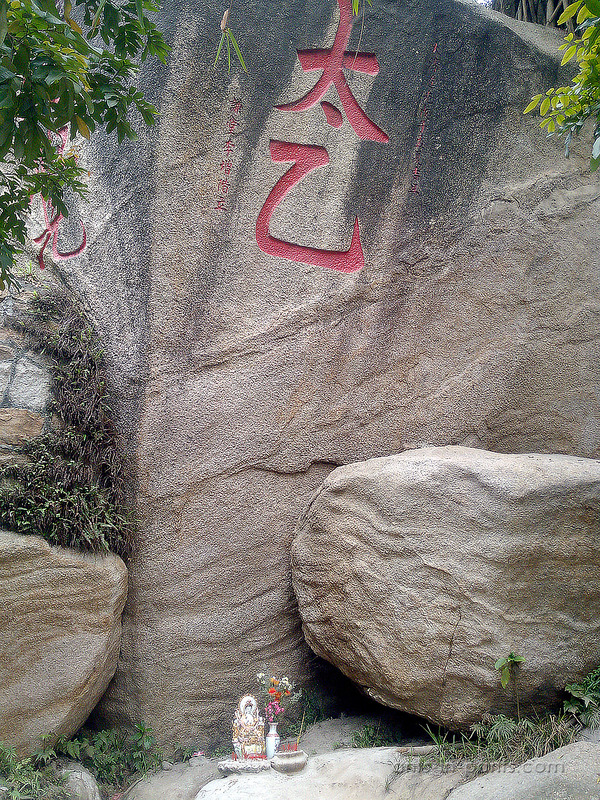 The pavilions are full with smaller and larger altars and the inscriptions about Macau history and of poetry pieces on the rocks. 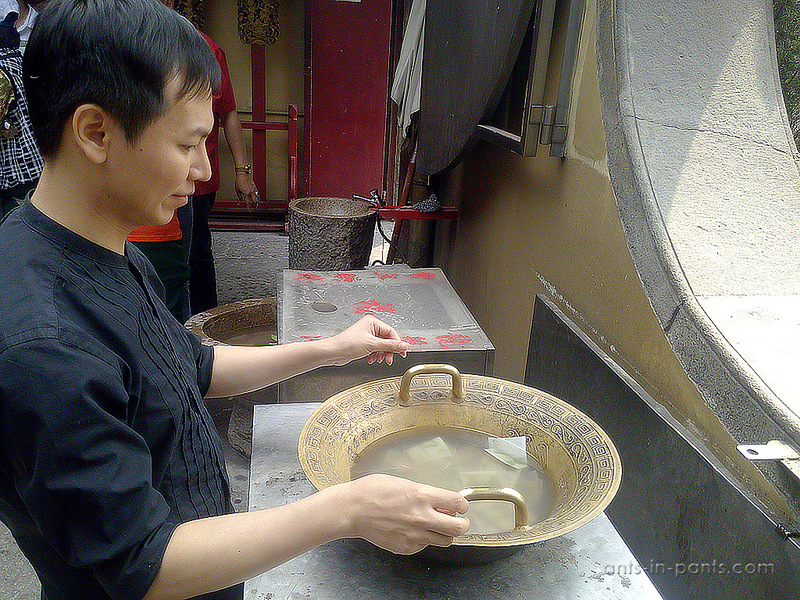 It is possible to make a wish at this bowl, putting money there and then rubbing the thumbs against the handles so that to achieve ripples on the water. Only in this case the dream will come true. Honestly talking, Nastya’s wish was not fulfilled despite the ripples. 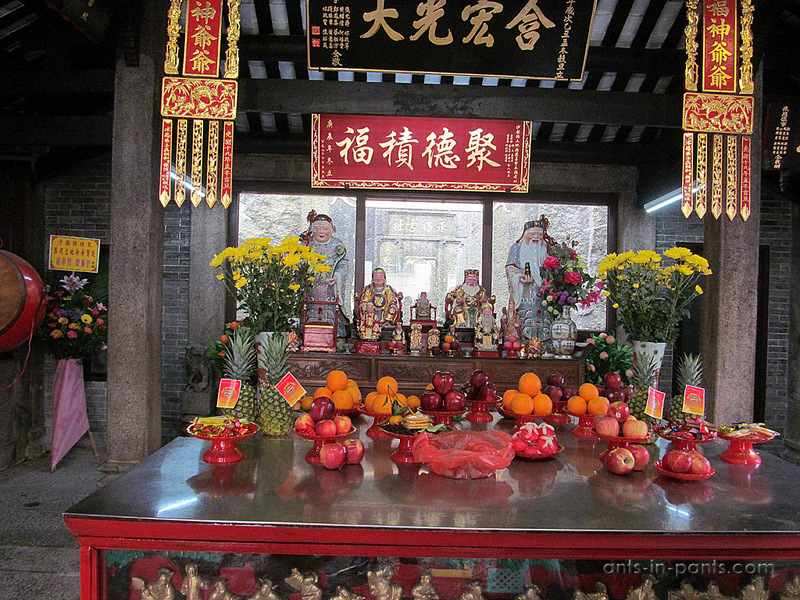 Smaller temples are not less interested, but are definitely less crowded. 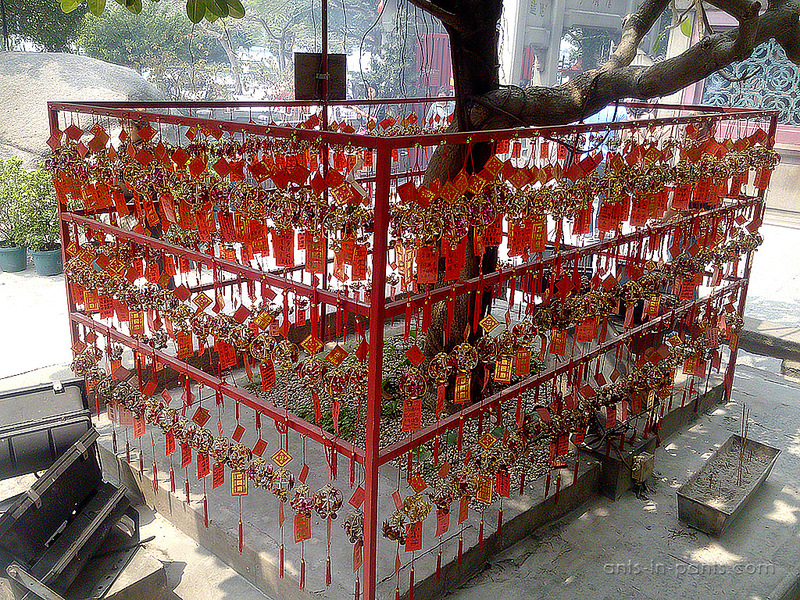 Among them are Kun Iam Temple, Lin Fung Temple (Lotus Temple), Lin Kai Miu, Pou Tai Un, Tam Kung Miu, and many others disseminated on Macau and neighboring islands. 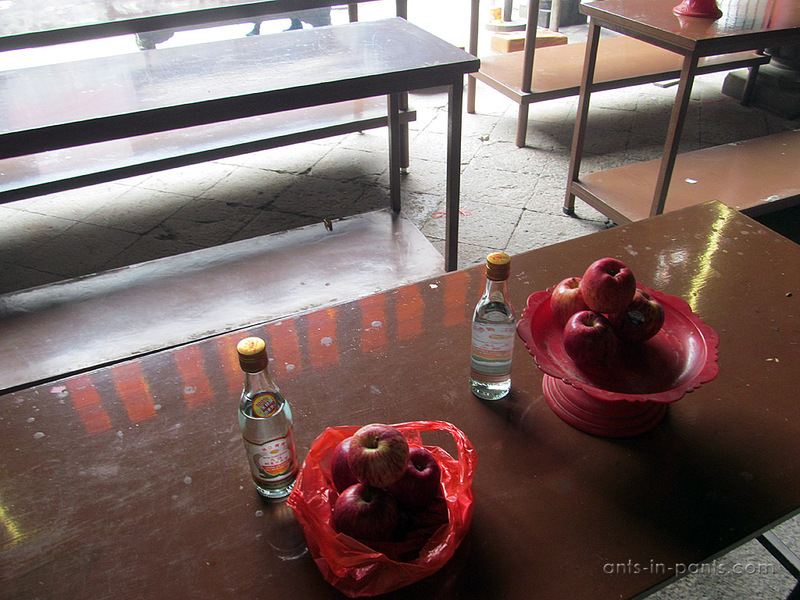 All of them have altars and people bring offerings. 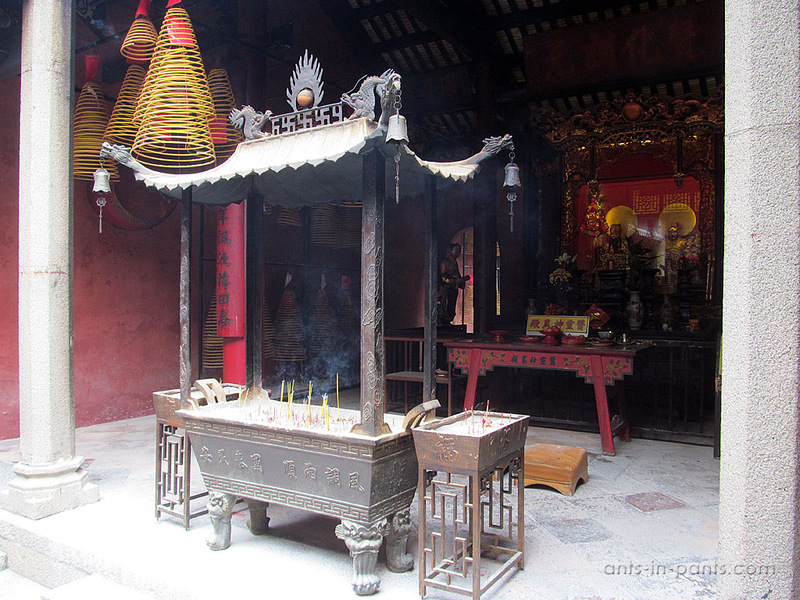 Moreover, every temple has huge spirals of incense burnt, it is said that burning one of them takes more than two months. 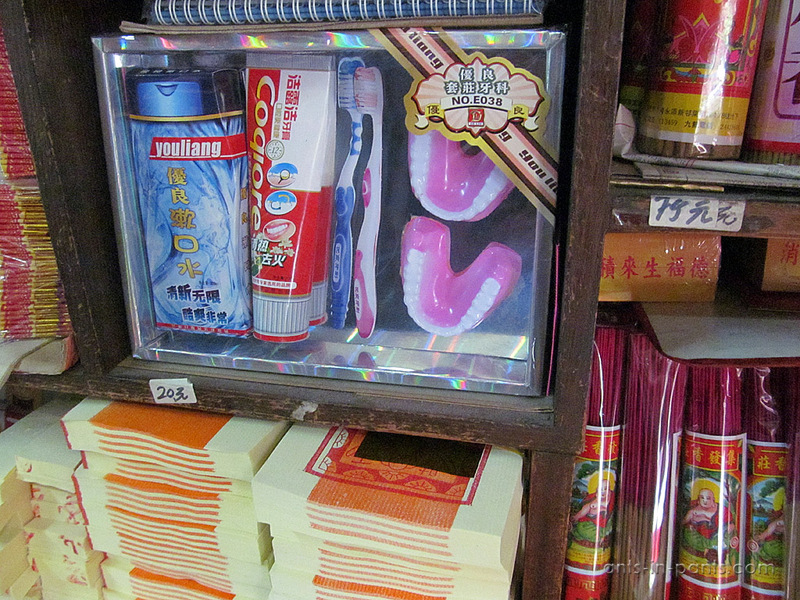 The visitors buy their own incense sticks the way Christians buy candles. 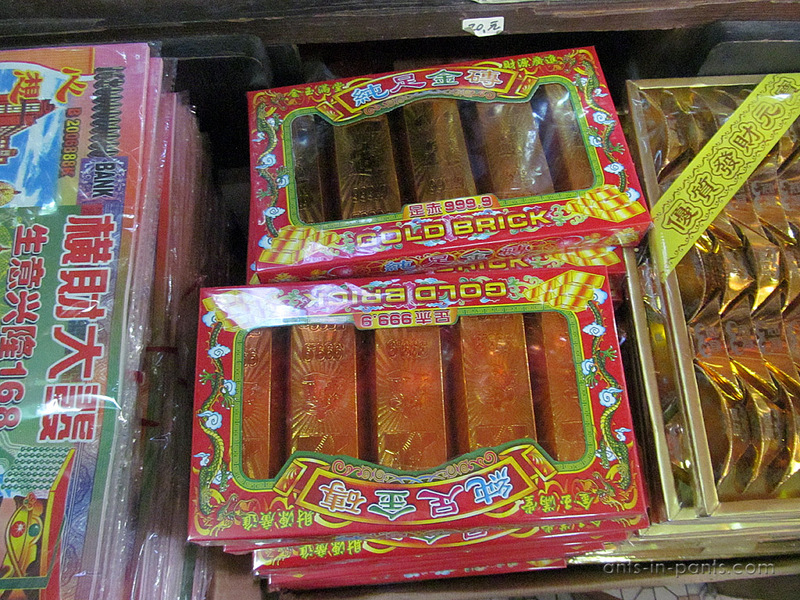 Most interesting, however, is the tradition of sending things to the ancestors by burning them. First and foremost this is fake money which is burnt. 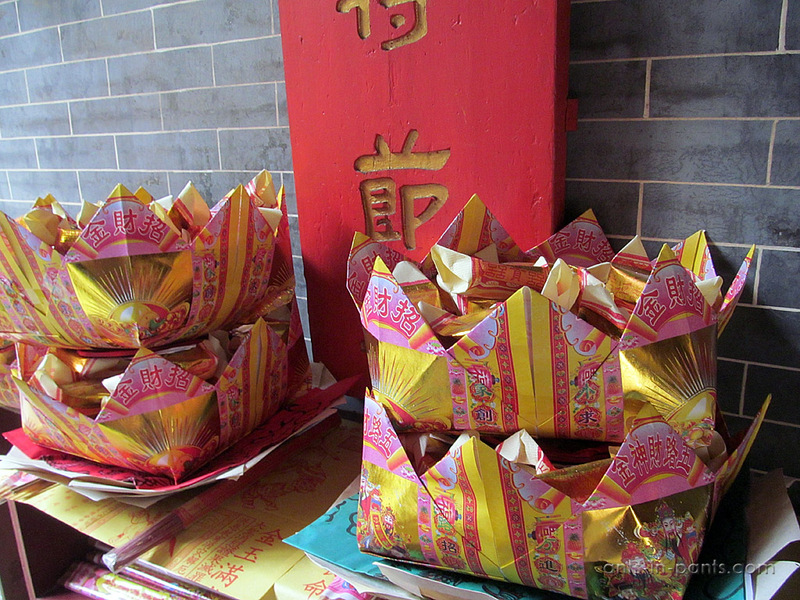 The things to burn and send to the ancestors can be bought at the temple stores, and instead of fake paper money, this improvised money made by the temple keepers is sometimes used. 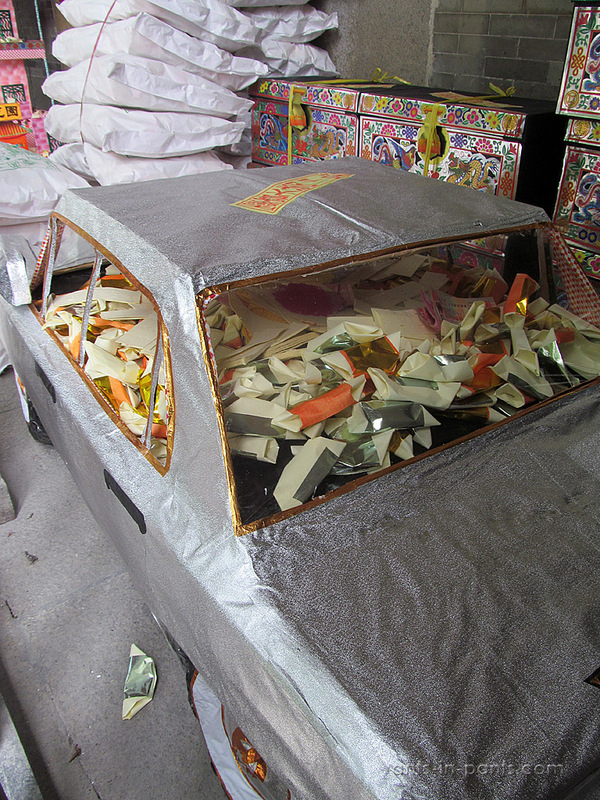 One of the temples was preparing the whole paper car full of this improvised money for sending to the ancestor. Mercedes, of course. 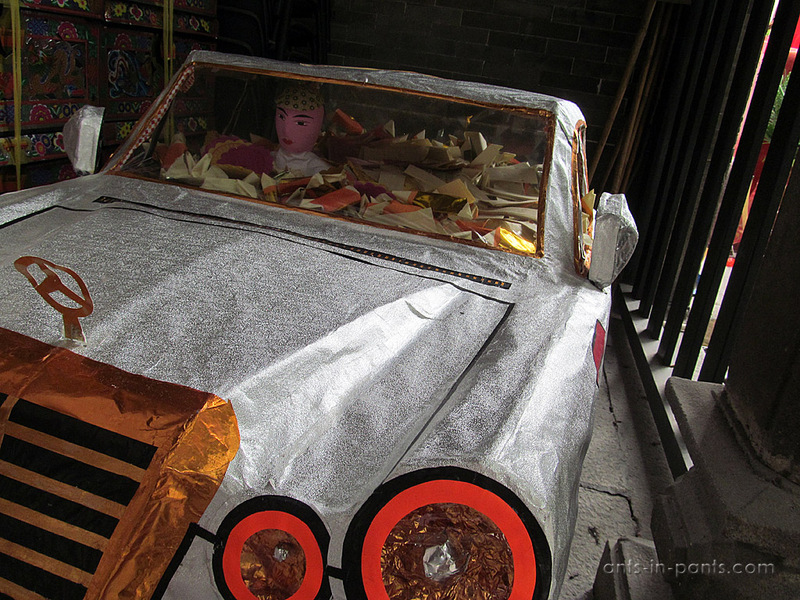 Next to the car there was a house prepared to be burnt. The things to send to the ancestors are sometimes not just bought: they require a lot of handwork. 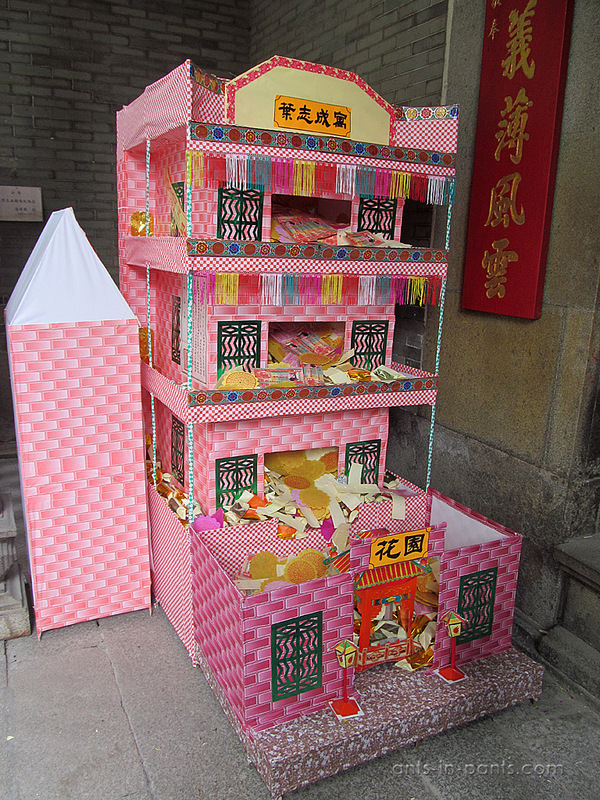 For those, who do not have time for this craft, however, a lot is available on the temple paper market to burn and send to the ancestors. 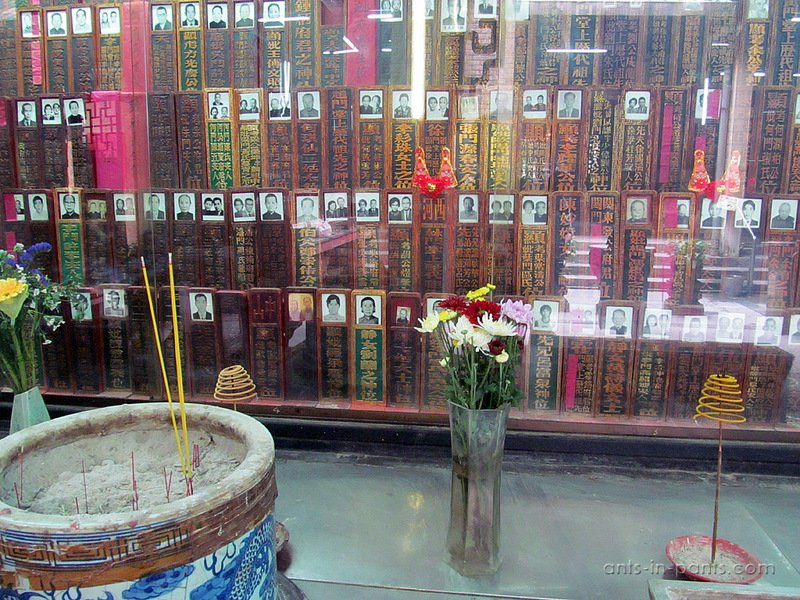 At some temples, there are huge halls with wooden pieces, each commemorating someone. 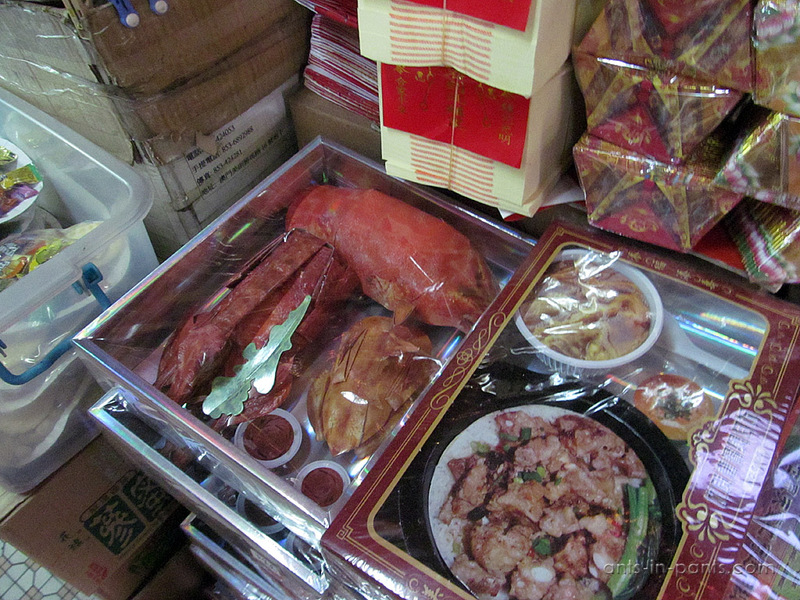 They are also offered food and fragrances. 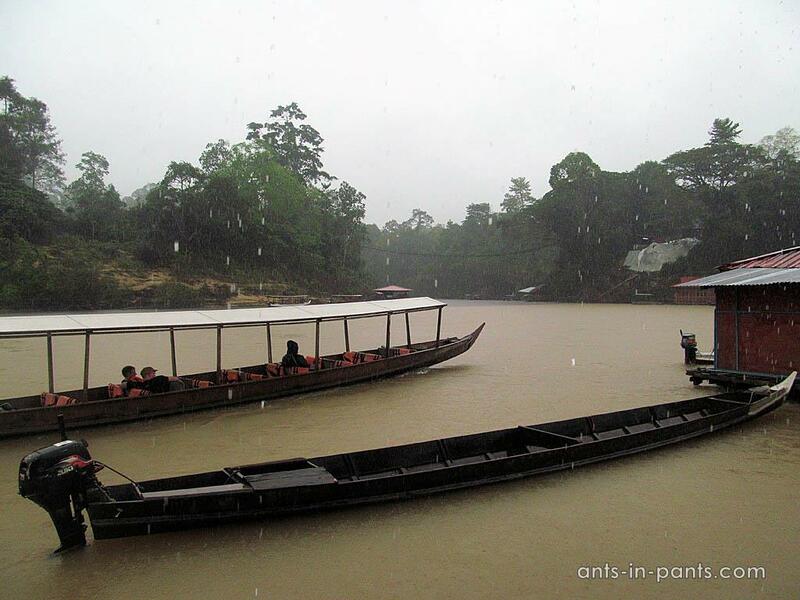 This does not mean that the material remains of the ancestors are neglected or not visited. 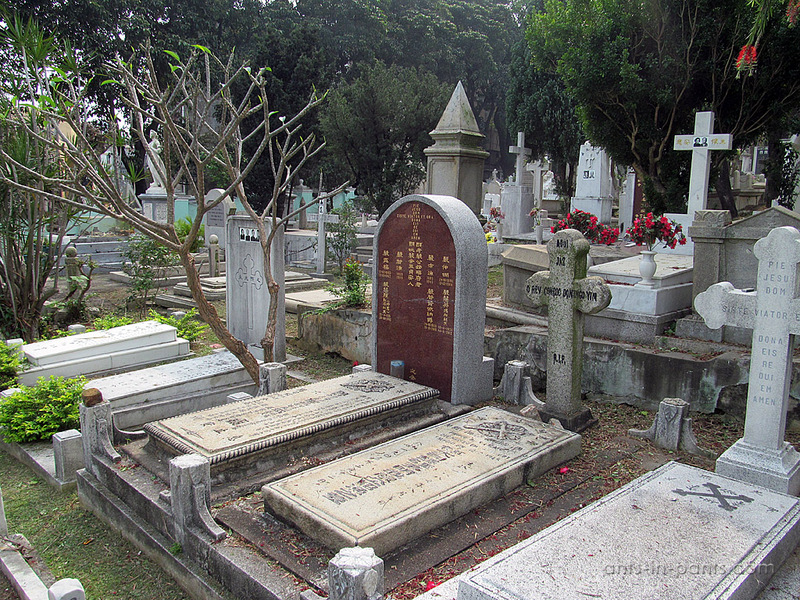 The dead are usually burnt by the Chinese, and the ashes are carefully preserved from generation to generation. If the family is relocated, they take the ashes with them the way they take their most precious belongings. 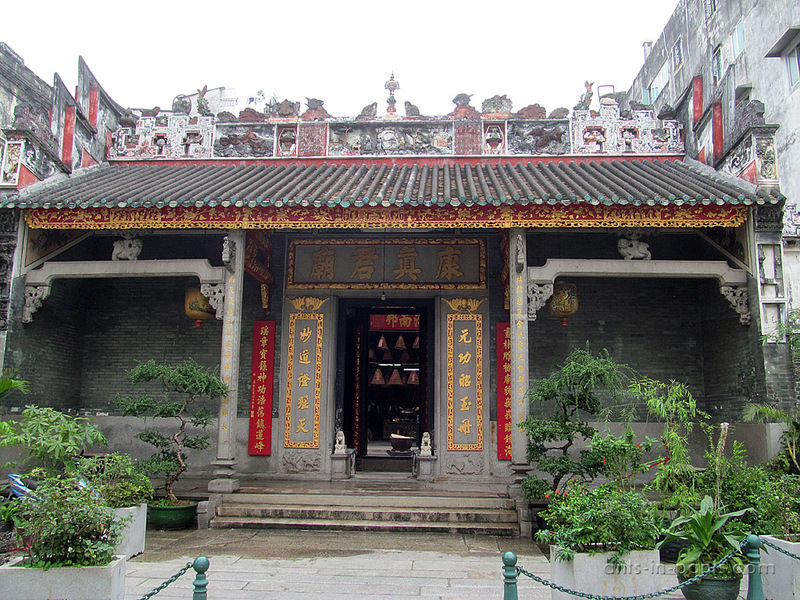 Chinese temples are far not the only religious buildings in Macau. 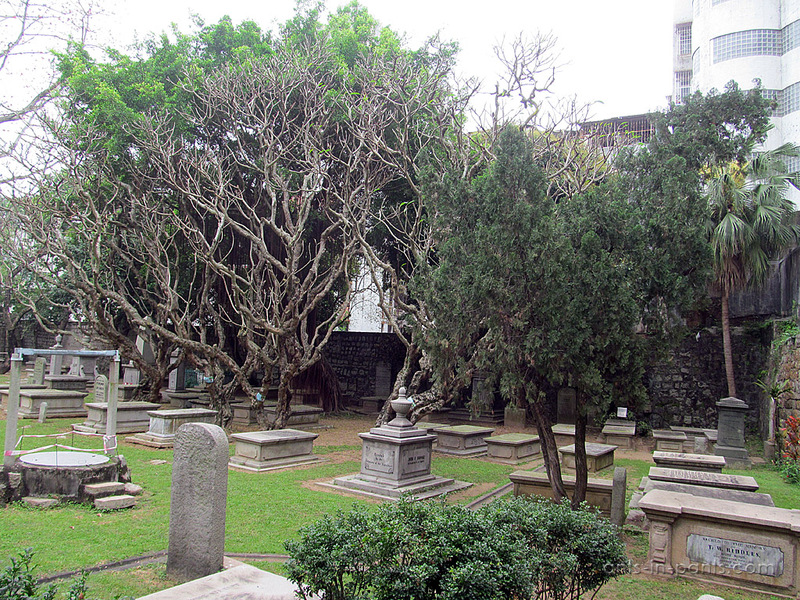 It has a lot of Christian churches too, often with graveyards. It is not only the influence of the Portuguese (although this is a primary reason): as was mentioned below, 5% of local Chinese population is Christian. The Morrison protestant chapel and cemetry appeared in 1821. 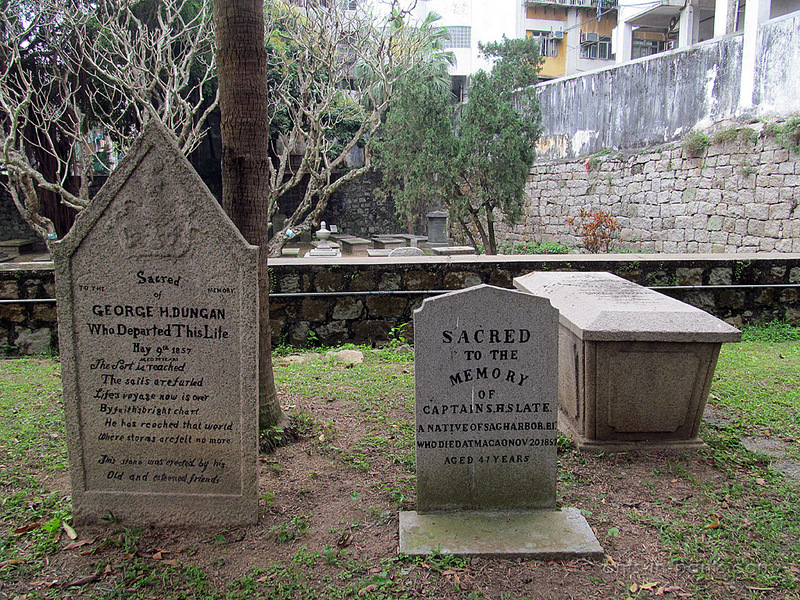 The chapel was named after Robert Morrison, the first protestant missionary in China and author of the first Chinese to English dictionary, as well as the first translation of the Bible into Chinese. 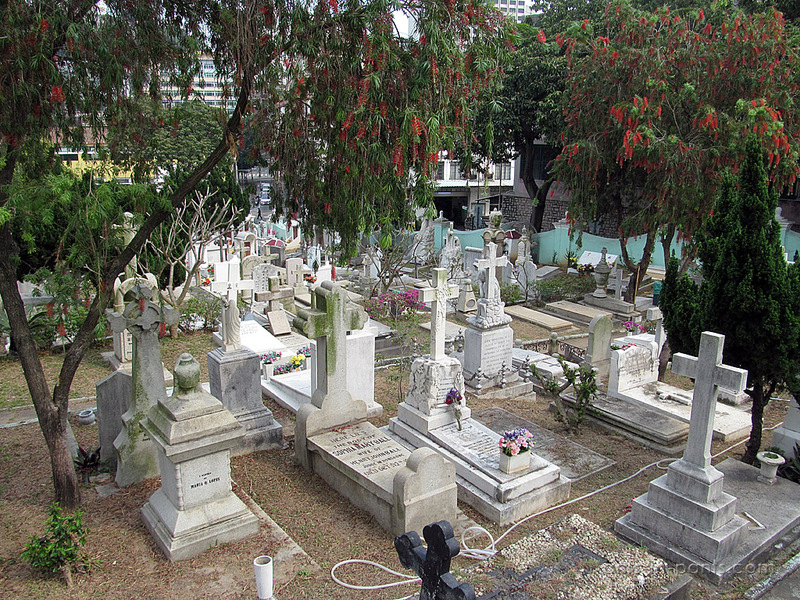 Many prominent figures of that time are buried here. 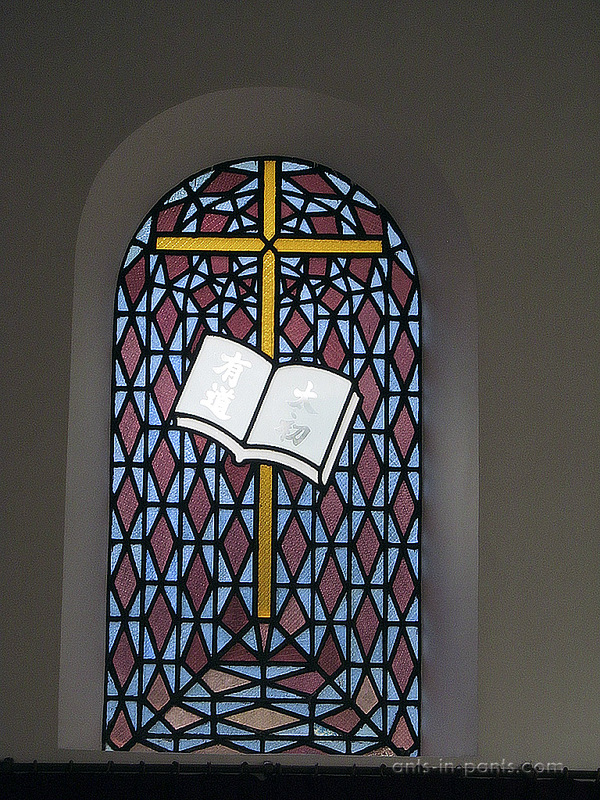 Unexpectedly for a European eye, the Bible on the stained-glass window of the church has an inscription in Chinese. 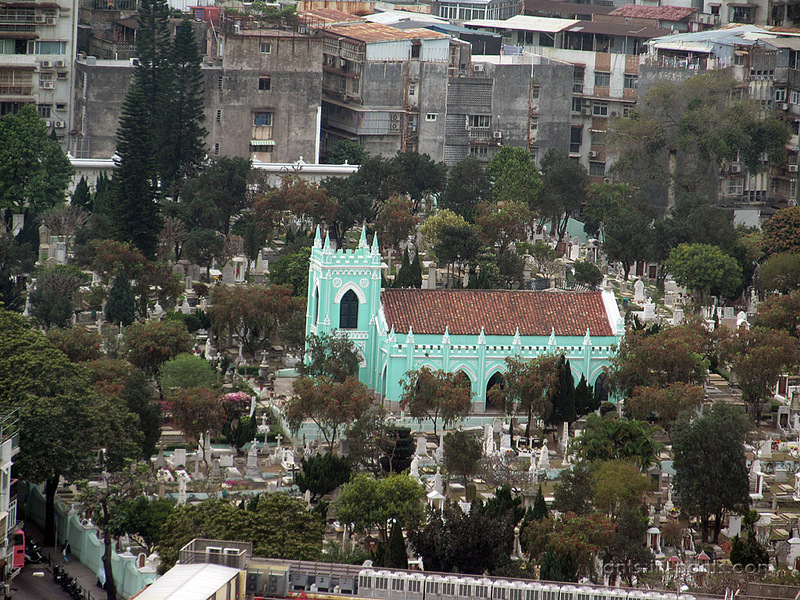 The Chapel of St. Michael, the oldest Catholic church in Macau, is surrounded by the Archangel Cemetery, the largest Catholic cemetery here. 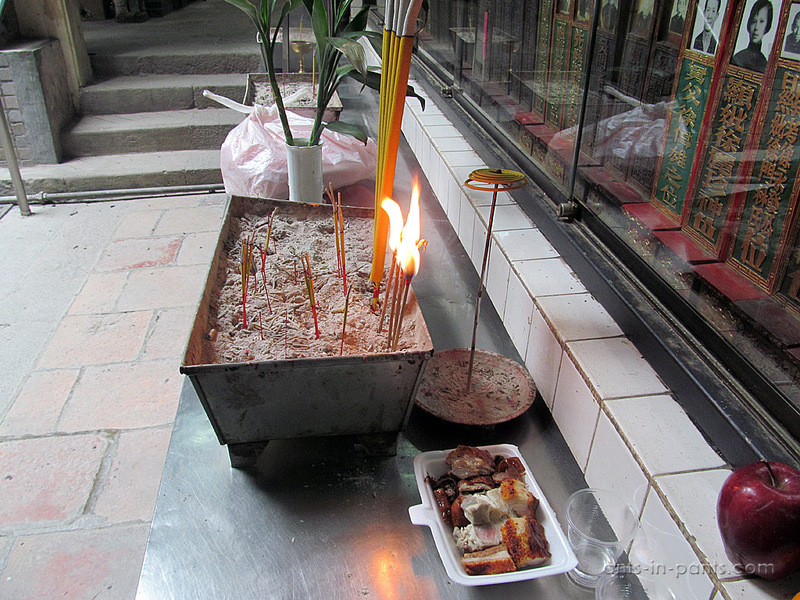 The places of worship, thus, play important role in Macau spiritual life. 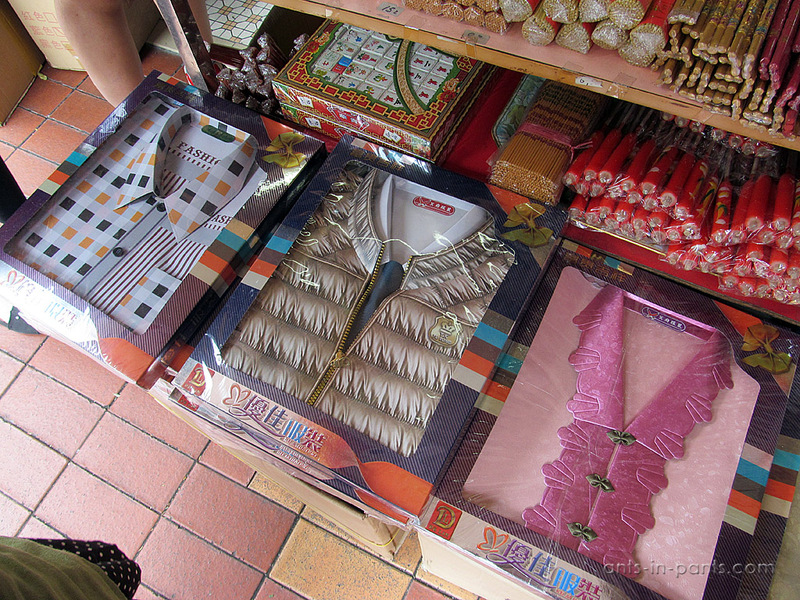 The practical things – casinos, shops, hotels, and food places are no less important, bringing money to the locals who already have all the rest from the gods. 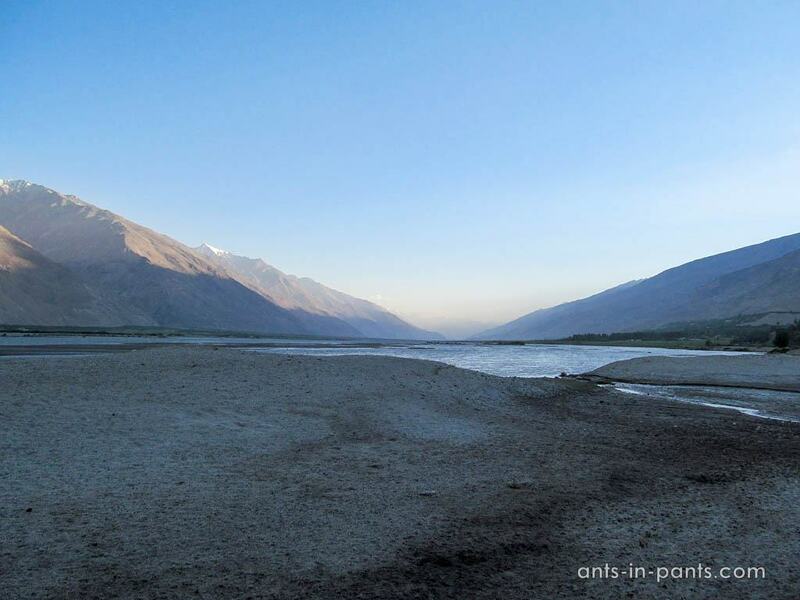 Additional post is certainly to come about these places.